Three Views on the New Testament Use of the Old Testament. Edited by Kenneth Berding and Jonathan Lunde. Grand Rapids: Zondervan, 2008. 256 pages. Softcover, $16.99. “Out of Egypt I called my son.” With these words from Hosea, Matthew seeks to demonstrate that Jesus’ escape from death into Egypt was in some way a “fulfillment” of Scripture. Understanding what Matthew is doing by quoting this Old Testament text entails a host of questions about the hermeneutical practices of the New Testament writers. Editors Kenneth Berding and Jonathan Lunde provide readers with a snapshot of the wide interpretive spectrum of answers given to these questions. As part of Zondervan’s Counterpoints Series, this volume features three views defended by Walter Kaiser, Darrell Bock, and Peter Enns. Each scholar makes a case for his position and briefly responds to the other two presentations. 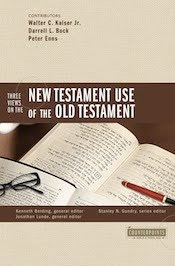 Recognizing the complexity of the New Testament’s use of the Old Testament, Berding and Lunde have the “modest” goal of exposing their readers to “a range of approaches to some of the questions posed by this issue” (10). They focus the discussion on “the relationship between the meanings intended by the OT authors in their texts and those derived from those texts by the NT authors” (10). For the editors, this question possesses the “requisite density to lie at the center of the gravity in this discussion” (10). 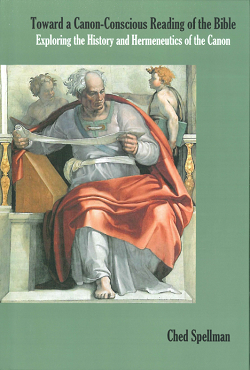 In analyzing the idea of intended meaning, the contributors also address the related issues of sensus plenior, typology, the Old Testament context, Jewish exegetical methods, and whether or not contemporary interpreters should replicate the approach of New Testament authors. The essays themselves are brief but substantive engagements of the topic. Kaiser argues that between the Old Testament and New Testament text there is a single meaning with unified referents. He denies that New Testament authors employed sensus plenior or any other Jewish exegetical methods and affirms that the typologies they find are warranted from the Old Testament context. Bock argues for a single meaning but with multiple contexts and referents, which allows for a moderate use of sensus plenior, typology, and similar Jewish interpretive techniques. He still seeks to maintain a “stable meaning” that relates in some way to the Old Testament context. Enns argues that there actually is a fuller meaning in the New Testament text, thus affirming that New Testament authors freely employ sensus plenior with minimal relation to the original Old Testament meaning. For him, the two authors share a single goal (Christ) but not a single textual strategy. One strength of this volume is its overall structural focus. Berding and Lunde concentrate the dialogue around the central question of authorial intent. Lunde’s introduction frames the discussion and introduces the important terms and concepts, and Berding’s conclusion summarizes and systematizes the answers given in the essays. This format allows for an orientation to the debate and enables the reader to interact critically with the positions. Though the presentations cover common ground, each author does have his own particular emphasis. For instance, Kaiser couches most of his essay as a strong polemic against the use of sensus plenior, and Enns spends the bulk of his essay defending the legitimacy of viewing Second Temple Judaism as the key to the whole debate. This unevenness in the presentations seems somewhat disconnected from the clear structure that Lunde sets forth in the introduction. Though the editorial bookends provide clarity and a balance of emphasis, the essays do not always share this trait. Another strength is the amount of example texts used by the contributors. In the course of the book, quite a few of the important texts in this debate are exegeted or analyzed. However, because each author chooses to elaborate and focus on different texts in his essay and the responses are necessarily brief, it is sometimes unclear how each of the views would respond to a given text. Having each contributor deal with the same major case studies (e.g., Matthew’s use of Hosea 11), would have embedded the responses in the flow of the book, thus demonstrating what is at stake in exegesis more clearly. Despite this concern, in the overall interchange, there are numerous examples that enable the reader to see quickly the differing interpretations of the authors. To give one example, in Acts 4:25-26, Peter’s sermon includes Israel in the “nations” that rage against God’s anointed in Psalm 2. For Kaiser, Peter’s interpretation is “not too surprising” (154), while for Bock, it “only takes one reading to see the surprise here” (129). For Enns, Peter’s sermon exemplifies “the radical nature of the early church’s use of the Psalm 2” (163). Seeing this type of interpretive spectrum is helpful in analyzing the differing approaches and is common throughout the book. Though the “panel discussion” format allows for a quick comparison of three views, it also inevitably omits several from the discussion. With this issue in particular, there are many nuanced positions worth considering (e.g., John Sailhamer’s emphasis on compositional strategy or Richard Hays’ interest in intertextuality). A further example of an unaddressed issue is the Old Testament’s use of the Old Testament itself. The Old Testament authors developed and employed patterns and techniques as they utilized texts and themes from the Pentateuch and other foundational passages. Some of these authors were even from the period of Second Temple Judaism (e.g., the Chronicler and the editor of the Psalter). The contributors do not typically consider the possibility that the writers of the New Testament may have adopted these previously established textual strategies. There are limitations to this work, but the editors have anticipated most of them. They accomplish their modest aim of providing a basic framework and encouraging believers “to think more intentionally about broad connections between the OT and NT” (243), making this volume a helpful introduction to this key issue in biblical theology. In SWJT 52.2 (Spring 2010), 201-03.